Formative assessment, as we have agreed elsewhere, is assessment for learning which is completely different from summative assessment, which is assessment of learning. The insights gained from formative assessments are usually used to decide on the next instructional steps and also inform teachers as to the additional opportunities needed to ensure students' success. Examples of formative assessment include: assigning projects and performances, giving writing assignments, and asking questions. There are a variety of ways to do formative assessment in class and this post features some interesting examples of formative assessment techniques. You can also draw on technology to formatively assess your students and gather feedback from them. 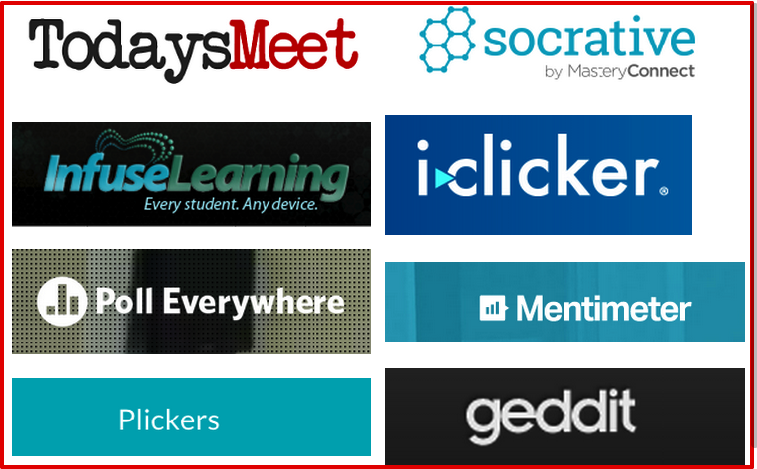 Here are some of the best web tools to use for in-class formative assessment, for more tools you can check this page. Poll Everywhere is another powerful web tool to collect feedback from your students. It provides you with a variety of templates and feedback forms to choose from. Students answer in real time using mobile phones, Twitter, or web browsers. The neat feature I like the most about PollEverywhere is that it lets you see your response live on the web or in a PowerPoint or Keynote presentation. Geddit is another interesting tool that you can use in class to gather instance feedback about your students learning in real-time. You can use both multiple choice or short answer responses to check for evidence of your students understanding. Plickers lets you poll your class for free, without the need for student devices. Just give each student a card (a "paper clicker"), and use your iPhone to scan them to do instant checks-for-understanding, exit tickets, and impromptu polls. Best of all, your data is automatically saved, student-by-student, at plickers.com.